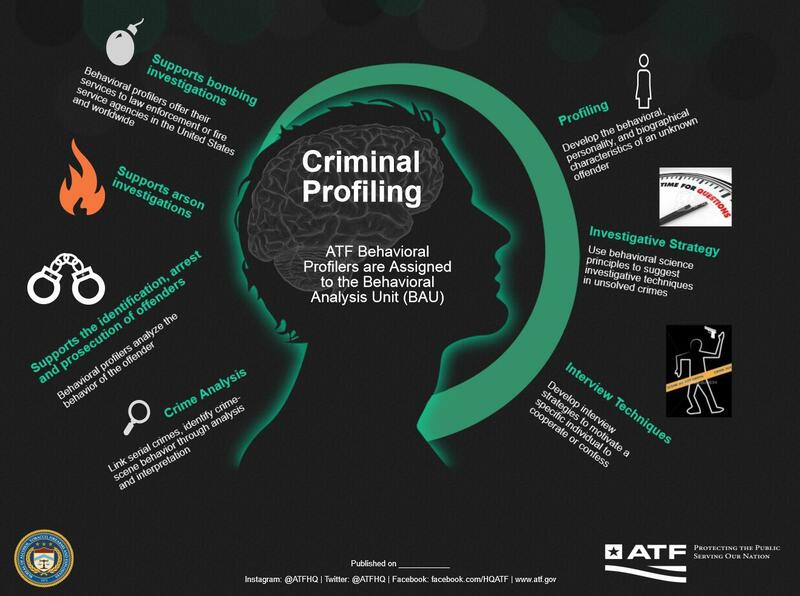 ATF behavioral profilers are assigned to the Federal Bureau of Investigation (FBI)'s Behavioral Analysis Unit (BAU). Profilers support bombing investigations by offering their services to law enforcement or fire service agencies in the United States and worldwide. They also support arson investigations and the identification, arrest and prosecution of offenders by analyzing the behavior of the offender. They conduct crime analysis by linking serial crimes, and identifying crime-scene behavior through analysis and interpretation. With profiling, they develop the behavioral, personality, and biographical characteristics of an unknown offender. Profilers develop an investigative strategy by using behavioral science principles to suggest investigative techniques in unsolved crimes. Lastly, they use interview techniques to motivate a specific individual to cooperate or confess.